Readers will welcome back old favorites in several titles this fall. 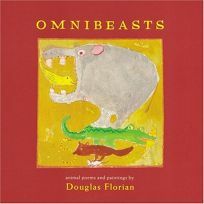 Omnibeasts collects Douglas Florian's witty rhymes, riddles and artwork from among several standby compendiums, including mammalabilia; bow wow meow meow and insectlopedia. PW said of his previous collections, ""Florian depicts the subjects in quirkily apt illustrations... even the typography plays a part in the humor."" .